Summer festivals in Florida to check out – Here’s the newest additions to our site, the top summer events by month, and some festivals that you should make y our calendars for this summer. Disney’s Star Wars Weekends (Weekends – May 16-18, 23-25, May 30-June 1 and 6-8, 2014) – The power of The Force and the magic of Disney combine once again for Star Wars Weekends, scheduled for five consecutive weekends (Friday-Sunday) from mid-May to mid-June at Disney-MGM Studios. Florida Dance Festival (2014 Dates TBA) – This Florida annual celebration of dance held in Tampa features classes and workshops in all forms of dance. Silver Spurs Rodeo (2014 Dates TBA) – The largest rodeo east of the Mississippi, draws some of the baddest bulls and cowboys in the business. 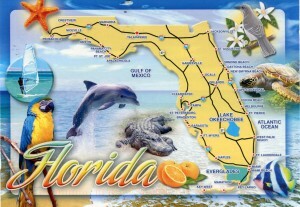 Located in Kissimmee, just a few miles from Central Florida’s theme parks. A family-oriented festival celebrating its 57th season, the Panhandle Watermelon Festival offers FREE entertainment and activities for all ages and has drawn generations of families to Washington County time and time again. Heading the bill during the Panhandle Watermelon Festival is country music legend and Grammy award winner, Joe Diffie. Fans can also look forward to country music singer, Andy Griggs whose first three singles were all Top Ten Billboard hits and will kick off Friday night’s show. “We work extremely hard to present Watermelon fans with an event geared for the enjoyment of every member of the family,” states Chairman Colby Peel, “Panhandle Watermelon Festival is thrilled with the high quality our two day festival represents.” Numerous food and arts and crafts vendors will be scattered throughout the Ag Center grounds and visitors can drop by the Kiwanis table and pick up a complimentary slice of watermelon. 4th of July festivities and events in Florida, July festivals you can’t miss, and some other great events this summer in Florida. Check out the list and add your own favorites if we missed one. Free submissions for festivals! FESTIVAL OF NATIONS CHAMPIONSHIP SOCCER WEEKEND – Party hearty at the beach and watch the final two games of the World Cup on a 21-foot LED screen. Also featured: live bands, food from a variety of cultures, exhibits, a kids’ zone and a footvolley (it’s a hot new sport) tournament. MANGO MADNESS NO. 1: 22nd ANNUAL INTERNATIONAL MANGO FESTIVAL – Immerse yourself in all things mango: lectures, smoothies and culinary demonstrations. Also: a yummy mango brunch, lots of fun activities for kids, botanical art and a fantastic international fruit market. MANGO MADNESS NO. 2: MANGOMANIA TROPICAL FRUIT FESTIVAL – The 18th annual event is a celebration of all the local fruit grown on Pine Island. Mangos, for sure – but also lychee, jackfruit, longan, papaya and chocolate pudding fruit. Fun diversions include mango-tossing and pie-eating contests, live music and kids’ activities. XXIX INTERNATIONAL HISPANIC THEATRE FESTIVAL OF MIAMI – You’ll be able to see some of the best theater companies from Latin America, Europe and the United States. This year, the IHTF honors Argentina in recognition of its contributions to Latin American Culture. 30th ANNUAL UNDERWATER MUSIC FESTIVAL – This quirky concert for divers and snorkelers emphasizes reef preservation and is a whole lot of fun. This year’s theme is “Diving with the Stars.” You can also meet August Powers, who crafts all the marine-life influenced instruments. A new Powers’ creation this year is “Belushi Blue,” a guitar-like fish sporting a hat and shades. Where: Looe Key Reef (about six miles south of Big Pine Key) for the Saturday concert and the Key Deer Shopping Plaza in Big Pine Key for the Friday meet-August Powers event. FLORIDA SUPERCON & ULTRACON OF SOUTH FLORIDA – Not one, but two events that feature comic books, anime, manga toys, action figure toys, cosplays, video games, pop culture celebrities and much more as vendors display and sell items from their collections. Also on hand: a slew of famous comic book creators. When & Where: July 3-6 at the Miami Beach Convention Center for Florida Supercon and July 19-20 at the Broward County Convention Center in Fort Lauderdale for UltraCon of South Florida. BUGFEST BY-THE-SEA DIVE FESTIVAL – Win thousands of dollars by catching big bugs – as in lobsters. It’s timed to coincide with Florida’s mini-season. Also included: bug-hunting seminars, a wreck-diving workshop with legendary diver John Chatterton, underwater photo and video contests, a lobster cook-off and much more. DEERING ESTATE AT CUTLER FEE-FREE “P.L.A.Y.” DAY – Bring your family and friends and enjoy complimentary admission as well as hands-on eco-art activities, science discovery programs and historic house tours. THE KEY LIME FESTIVAL – The second annual event is a yummy celebration of Florida’s state pie. Includes, of course, pie-eating and pie-making contests, but also much more: an attempt to make a world-record largest Key Lime pie, the Key Lime Bar Sip & Stroll and Miss Key Lime Pie and L’il Miss Key Lime pageants. STANDING ON CEREMONY: THE GAY MARRIAGE PLAYS – This night of one-act plays features a unique blend of comedy, drama and wry monologue in a look at the recent changes in gay marriage. Among the playwrights: Moises Kaufman, Wendy MacLeod, Mo Gaffney and Paul Rudnick. BIG NIGHT IN LITTLE HAITI – Enjoy free compas and kreyol jazz music, plus arts and crafts, yummy Haitian food and much more. When: July 18, 6-10 p.m.
DUNEDIN ORANGE FESTIVAL – Quaint Dunedin celebrates its little-known citrus history with a mojo cook-off, the crowning of Miss Dunedin Orange Queen and – new this year – Orange Fest After Dark, featuring adult beverages and live music beyond sunset. RED, BRICK AND BOOM – LEGOLAND Florida turns ordinary fireworks into millions of exploding Lego bricks, thanks to special glasses and extended evening hours. Four days of Independence Day-themed games and displays end in a special light show finale. COKE ZERO 400 – A favorite Independence Day weekend event for decades among NASCAR fans, this Sprint Cup Series stock car race always fulfills the adrenaline fiends while satisfying the family experience, with BBQ stations everywhere and a huge fireworks display after the race. CALADIUM FESTIVAL – In its 24th year, this festival honoring the leafy, colorful plant now embraces all types of flowers, foliage and herbs, and features the area’s growing grape and wine industry, plus vehicle shows, arts and crafts and live entertainment. FAMILY OUTFEST – As an encore of sorts to June’s Orlando Gay Days, the Family Outfest is devoted to embracing diverse and LGBT families, designating special days to recommended Disney parks and Universal Studios, and a Saturday festival in downtown Orlando. A SCI-FI 4TH OF JULY – Forego the typical Uncle Sam-themed July 4 experience and hit Celebration Town Center dressed as your favorite science fiction movie character. Enjoy a synchronized fireworks display set to a sci-fi themed soundtrack, live music, kids’ activities and a special tribute to American veterans. 4TH OF JULY IN TAVERES – The small city of Tavares shuts down streets from 3 p.m until fireworks time, transforming into a massive celebration with an interactive splash park, a parade with colorful floats, a photo booth, a bungee ride, face-painting and food trucks. LEESBURG’S 4TH OF JULY CELEBRATION – Families can watch from their boats as Lake County’s biggest and best fireworks display, set to booming music, launches from a barge in Venetian Cove. Get there before the free ice cream runs out. KIWANIS MIDNIGHT RUN – A true midnight run, this fundraising 10K and 5K event, lined by luminaries through Honeymoon Island park and over a bridge, typically draws more than 2,000 participants. Walkers and beginners can enter a one-mile walk/run prior to the longer races. REPLAY AMERICA: THE ULTIMATE 80s FESTIVAL– Relive the days of big hair, Commodore 64 and leg warmers at Ruth Eckerd Hall, where popular 80s bands such as The Go Go’s, Martha Davis & The Motels, Patty Smyth and Pete Byrn of Naked Eyes play their most ubiquitous hits of that decade. THUNDER ON THE RIDGE – National recording artist and jazz trumpeter Michael Ray headlines a lively concert lineup, followed by Polk County’s largest fireworks display. Hit the beer garden and food tents in between acts. SIZZLIN’ SUMMER BASH TASTE OF THE BEACHES – Sample foods from more than 30 of the Pinellas County beaches’ best restaurants and buy a $25 wristband for unlimited adult beverages. Dance to the Hunks of Funk and bid on the silent auction. METROCON – In the world of anime obsession, this event is internationally famous, drawing up to 10,000 fans dressed as Japanese animation, video game and comic book characters. The human chess match is fascinating to watch, whether you’re into these genres or not. SARASOTA BOAT RACES AND OFFSHORE RACING FESTIVAL – A thrilling boat race at Lido Key Beach is preceded by a downtown boat parade, a block party, a bikini contest and fireworks. ANIME FESTIVAL ORLANDO – Not to be confused with Tampa’s MetroCon, the Anime Festival Orlando is a smaller but intense gathering of anime and comic book fans dressed as their favorite characters and engaging in dances, workshops, game shows, karaoke, video game contests, an artist showcase and trivia contests. SCALLOP SEASON — Don’t have the patience to sit in a boat staring at a drifting fishing line for hours on end? Try scalloping. All you need is a saltwater fishing license, snorkel, mask and dive flag — all easy to obtain from local outfitters. The rest is simple. Just start skimming the surface of St. Joseph Bay over the gorgeous grass beds of the Florida Aquatic Preserve looking for the telltale glowing blue eyes along the edge of the shells. The 2014 scalloping season begins July 1. NEW YORK TIMES MAGAZINE PHOTOGRAPHS — The photographers making images for the New York Times Magazine capture beauty and tragedy, glory and grit, movement and transformation in its glossy white pages. Kathy Ryan, the magazine’s director of photography, reviewed more than 1,500 issues of the magazine to pick images depicting war-torn countries, Hollywood’s fabulous old guard, New York after 9/11 and more for this exhibit. EL GALEON TOUR — Experience 16th-century life aboard El Galeón, a full-scale reconstruction of a Spanish galleon used by the country to roam the little known waters of the Atlantic Ocean from Spain to the “New World.” Embark on a self-guided walking tour above and below deck while making time to talk to the ship’s current crew about ship life. El Galeón was just featured in NBC’s new TV show Crossbones. LA FLORIDA: 500 YEARS IN THE PLACE OF FLOWERS — Tourists flock to Florida for our sugar-sand beaches and myriad amusement parks — only to be also wowed by the state’s natural beauty. John Moran, a Gainesville nature photographer whose work has appeared in National Geographic and Smithsonian, captured the rainbow-hued, flower-filled visions of paradise in large-format photography. NIGHTTIME EDUCATIONAL BEACH WALKS — Explore the Gulf Coast beaches under the stars with George Grey, the Okaloosa County’s Sea Turtle Coordinator for almost two decades. Learn about sea turtles’ nesting habits and other beach wildlife on this free guided walk. Reservations are required. APALACHICOLA INDEPENDENCE DAY CELEBRATION — Enjoy an old-fashioned Fourth in historic coastal Apalachicola with a red, white and blue-themed golf cart and bike parade, ice cream social and fireworks. And because it IS Florida, stuff yourself with fried shrimp and Low Country boil instead of the more traditional hot dogs and hamburgers. STARS & STRIPES AT SEASIDE: A JULY 4TH CELEBRATION — Embrace your flag-waving, patriotic fervor and dress in red, white and blue for a day of “God Bless the USA” festivities beginning in the morning with the Annual July 4th parade along State Road 30A and concluding with the Pensacola Symphony Orchestra’s concert and fireworks finale under the stars. The lawn fills up quickly so arrive early to get a prime location. UNION GARRISON — Welcome to 1864. Think women in corsets and high boots, men doing their daily marching drills and young drummer boys bringing the Civil War-era fort to life. Visitors can interact with these living historians during firearms and cooking demos. Or beat the deep summer heat and enjoy the Fort during the Saturday night candlelight viewing. SUMMER MOVIE CLASSICS AT THE FLORIDA THEATRE — Introduce the next generation to these retro ‘80s fanboy classics: The Never Ending Story, Goonies, Batman (the Michael Keaton and Jack Nicholson version) and Gremlins. Arrive early to escape July’s warmth while exploring the lavish and fantasy-inspired Mediterranean Revival interior of the 1920s theatre, one of four historic movie palaces left in the state. Don’t miss the indoor courtyard with its grand balcony and star-filled ceiling. PENSACOLA BEACH AIR SHOW — Grounded for most of 2013 because of budget cutbacks, the Blues are back! The Blue Angels, who call Pensacola Beach home, are airborne again with a 2014 calendar that features 38 appearances nationwide. Catch them on their home turf at the annual air show. Also features Fat Albert, Julian McQueen, Roy Kinsey, Gary Ward, Team Aerodynamix and Skip Stewart. 36TH ANNUAL SWAMP STOMP MUSIC FESTIVAL — Spread your blanket under the live oaks and enjoy an acoustic music serenade by singer-songwriters during this Big Bend mid-summer staple. From folk music’s twang to deep Southern blues, the 52-acre park will also delight youth with outdoor games, living history demos and the Tree to Tree zipline adventures. FIESTA DE SAN FERMIN EN PENSACOLA — In Pamplona, thousands run through the city streets, defying death as they are chased by snorting, slobbering half-ton bulls made famous by Ernest Hemingway in The Sun Also Rises. Pensacola’s cheeky (and safety conscious) salute to the “encierro” is to task members of the female roller-derby league wielding wiffle ball bats as bulls chasing down red kerchief-wearing participants in this 2-mile adventure. Other events include a Spanish wine dinner and a procession honoring San Fermin, the Patron Saint of Pamplona. CHRISTMAS IN JULY CRAFT FAIR — Start your holiday shopping early — really early — at the Panhandle Pioneer Settlement’s annual craft fair. Pick up goodies such as handmade soaps, baked treats, works by local artisans, quilts and more. Once you’re shopped out take a free guided tour of the settlement. CHOOSING TO PARTICIPATE LUNCH AND LEARN: WORLD WAR II VETERANS AND THE CIVIL RIGHT MOVEMENT — For this special lecture, veteran and University of North Florida graduate student Bryan Higham will speak on the subject of the African American veterans who used military training to pursue political office and take on leadership roles within the Civil Rights movement from 1945-1960. BEER TRUCK WARS — Sample some of the state’s best craft brews at this event drawing on America’s addiction to gourmet eats served from a kitchen on four wheels. The details are still in the works … but there will be beer, there will be food and it will be filling. The complete listings of all the Florida celebrations in August and county fairs in FL that are well-regarded all over the country! The long list of all the top things to do in Florida this year! Caladium Festival (Moved to July) – Lake Placid hosts a Caladium Festival to celebrate the crop and their title of Caladium Capital of the World. Caladium displays are featured downtown and in nearby subdivisions, there are bus rides to the caladium fields and caladium crafts are plentiful. Immerse yourself in any of Florida’s numerous water parks that are overflowing with cool summer fun!